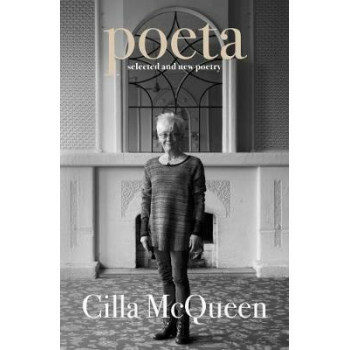 Born in 1949, Bluff-based Cilla McQueen is one of New Zealand's best-loved poets. Poeta: Selected and New Poems brings together a definitive selection of her poetry spanning five decades, arranged by the poet in a thematic narrative that elucidates abiding themes while maintaining a loose chronology of her creative life to date. Of mixed Scottish and English heritage, McQueen is a translocated Hebridean, a spokesperson variously for the southern islands and coast, Rakiura, Fiordland, Murihiku and Dunedin. One of a few indispensable poetic voices of the south, she has long been part of a social matrix of artists, among them Hone Tuwhare, Ralph Hotere and Marilynn Webb, dedicated to bringing out the native brogue and colours of Southland-Otago. Poeta gathers together poems from the poet's 14 previous volumes, punctuated by 11 striking drawings, and also includes a range of new work that shows her riddling creativity continuing to grow and evolve. Collectively, the poems demonstrate a versatile and diligent wordsmith never content to sit on her laurels, ever experimenting and improving in her attempt to write the world's poem.